Our technicians won't clean duplicator heads with anything else! Kingdom's Dupli-Care is a scientific blend of HCFC solvents proven to remove the tape oxide that can damage your duplicator and tape deck heads. Kingdom Dupli-Care Non-Aerosol Head Cleaner - 6 Oz - Our technicians won't clean duplicator heads with anything else! 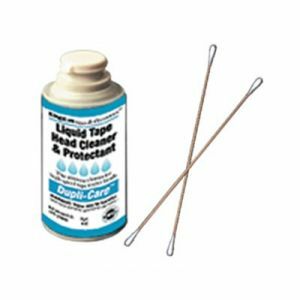 Kingdom's Dupli-Care is a scientific blend of HCFC solvents proven to remove the tape oxide that can damage your duplicator and tape deck heads. Kingdom Dupli-Care Non-Aerosol Head Cleaner - 6 Oz even removes the bonding agent, dirt, dust, oils, carbon deposits and other contaminants. (Isopropyl alcohol alone will not remove all of these damaging contaminants.) Use environmentally safe Dupli-Care and keep your equipment running great for years!